Bangalore Mirror: One more case in the ongoing legal tussle between ISKCON Bengaluru and ISKCON Mumbai reached the High Court. This time, three trustees and members of ISKCON Mumbai approached the HC seeking to quash a FIR registered against them by the Ulsoor police after a complaint by ISKCON Bengaluru. The HC has, however, dismissed the petition, saying it is for the trial court to decide the matter before it. An original suit had been filed by ISKCON Bengaluru trust in 2001 claiming exclusive management of the Bengaluru properties. ISKCON Mumbai was contending that the Bengaluru institutions were its branch. ISKCON Mumbai had filed 32 volumes of documents in the case and one of it was the bone of contention now. That case has reached the Supreme Court and is still pending. In July 2012, Dayaram Das, Varadakrishna Das and Krishna bhajan Das of ISKCON Mumbai are said to have held a press conference and issued a press release claiming ISKCON Bengaluru was its branch. They are said to have released an 11-page document said to be an exhibit in the original suit between Bengaluru and Mumbai. ISKCON Bengaluru filed a complaint before the magistrate court claiming that the document had an additional page and therefore was a forged and fabricated one. 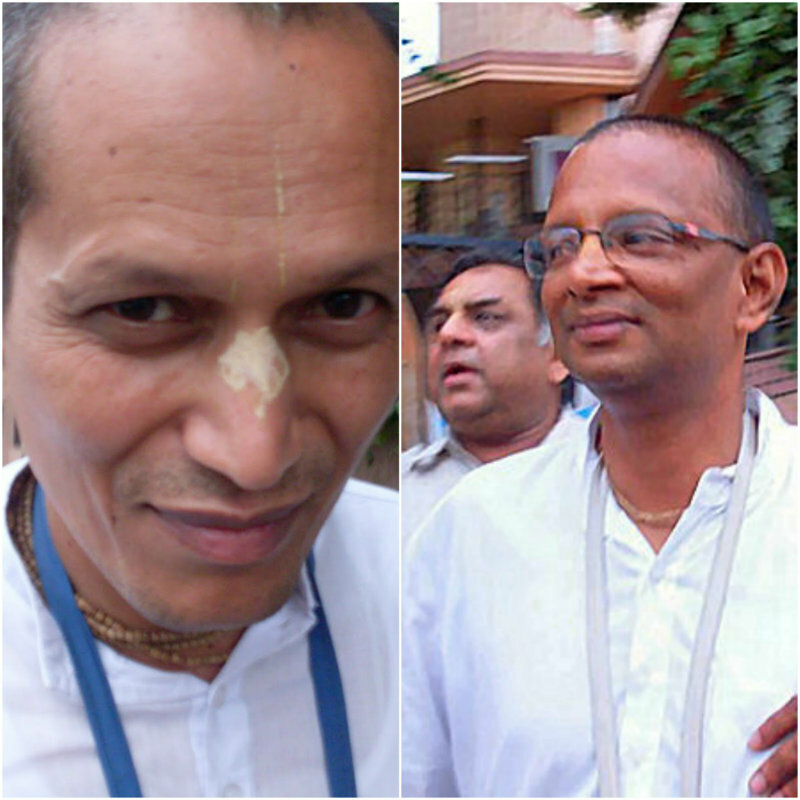 The three ISKCON Mumbai members approached the HC seeking to quash the FIR ordered by the lower court. They also sought to make the Registrar General of the HC as a party to the case and to direct him to hold an enquiry into the allegation of the allegedly forged 11th page. Dismissing the petition, the HC said that the complaint was not that a forged document was filed before the court in the case but a concocted page was inserted as being part of the court document. Secondly, the allegation that the investigation officer of Ulsoor police had a nexus with ISKCON Bengaluru was also dismissed as the said officer was no longer in the same station and another police officer was handling the case. As to the contention that the Ulsoor police did not have jurisdiction, the HC said that it was only a procedural aspect which can be brought to the notice of the lower court. The HC said that as the lower court had ordered an enquiry, “it would not be prudent for his court to quash the proceedings at this juncture.” The HC also dismissed the request for an inquiry by the Registrar General as it was the subject matter of the criminal case. The court dismissed the petition, saying it had no merit.